The Greenland ice sheet is the second largest ice body in the world after the Antarctic ice sheet. It covers over 660,000 square miles, more than twice the size of the state of Texas. But it is melting. According to a new study published in the journal Nature, the Greenland ice sheet is melting faster today than at any point in the last 350 years. A team of U.S. and European researchers analyzed more than three centuries of melt patterns in ice cores from western Greenland. They then linked this historical data to modern observations of melting and runoff across the entire ice sheet. According to the researchers, from an historical perspective, today’smelt rates are off the charts. There is a 50% increase in total ice sheet melt water runoff since the start of the industrial era and a 30% increase since the 20th century alone. Over the last 20 years, melt intensity has increased 250 to 575 percent compared to pre-industrial melt rates. 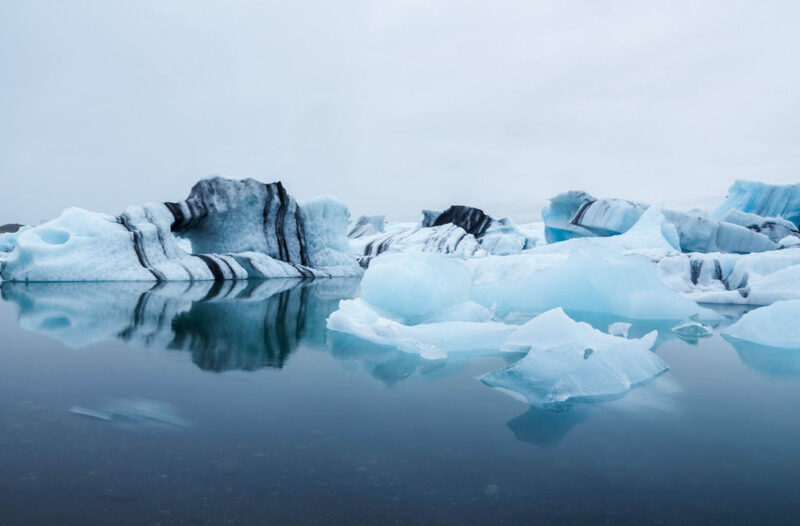 The period from 2004-2013, the most recent decade analyzed, experienced a more sustained and greater magnitude of melt than in any previous 10-year period in the 350-year record. The Greenland ice sheet is the largest single contributor to global sea level rise. It is adding 72 cubic miles of meltwater to the world’s oceans every year. The melting of the Greenland ice sheet is accelerating which is a frightening prospect. If the sheet were to melt in its entirety, global sea levels would rise by 23 feet. The world needs to do whatever it can to keep that doomsday scenario from happening. Photo, posted September 8, 2014, courtesy of Marco Verch via Flickr.